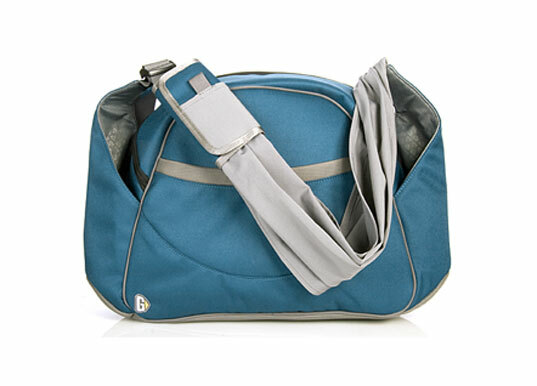 Even though Go Gaga’s The Gondola Bag is Fair Trade Certified and made from nearly 75 percent post-consumer recycled fabric, the coolest thing about this diaper bag is the mom-friendly shoulder strap. The unique sling-like strap helps prevent achy backs and shoulders by distributing the weight of your tot’s necessities evenly across your body. You’ll even find enough room for your breast pump (or laptop) inside. Also available in cool-for-men colors orange and black, it’s equally fantastic for dads. Even though Go Gaga's The Gondola Bag is Fair Trade Certified and made from nearly 75 percent post-consumer recycled fabric, the coolest thing about this diaper bag is the mom-friendly shoulder strap. The unique sling-like strap helps prevent achy backs and shoulders by distributing the weight of your tot's necessities evenly across your body. You'll even find enough room for your breast pump (or laptop) inside. Also available in cool-for-men colors orange and black, it's equally fantastic for dads.